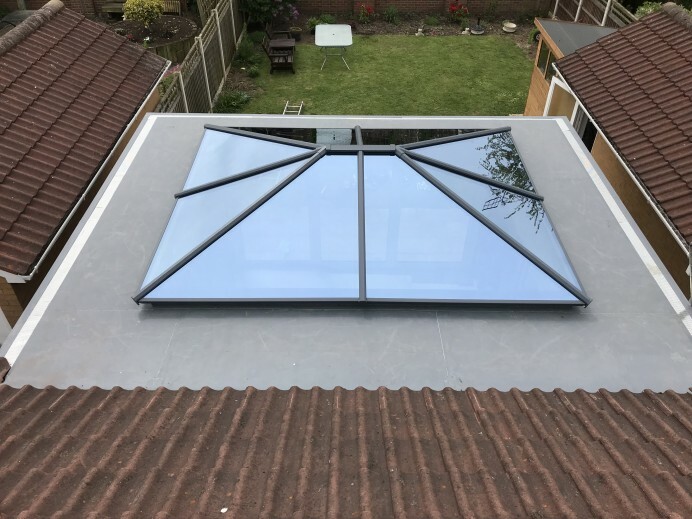 When it comes to designing orangeries for customers property, we always try to provide the best exterior finishing options as possible so that the orangery can either stand out from the property, or blend into the rest of the customers home, this is done by either rendering the exterior of the property, or finding bricks that match the customers property as closely as possible. 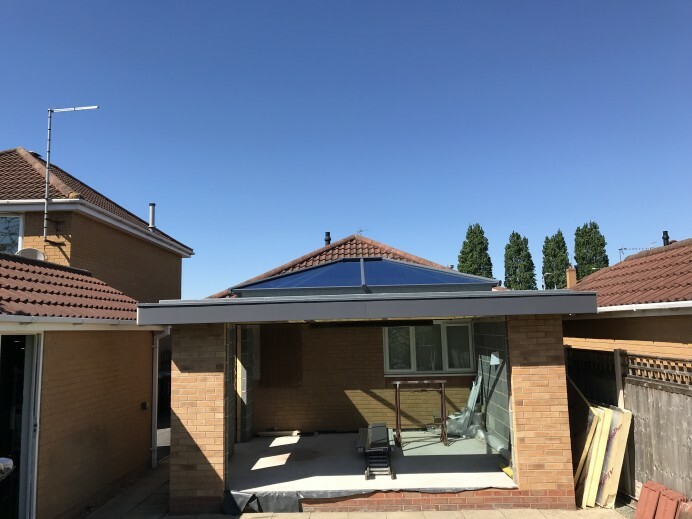 For this customer, they favoured the latter option, and wanted to have an orangery installed at the rear of their property that had a brick work exterior that matched the aesthetic of their property. 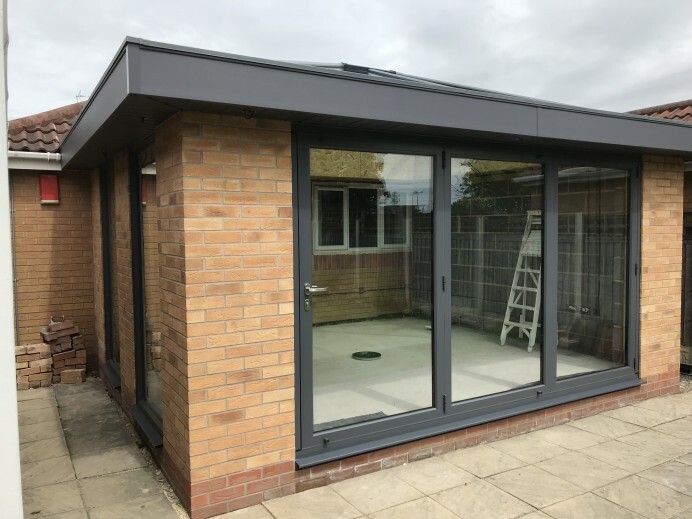 As well as this, they wanted to have a three pane Origin Bi Fold Door and two floor to ceiling windows finished in anthracite grey fitted to the orangery to allow the customers to have a view and access to and from their garden. 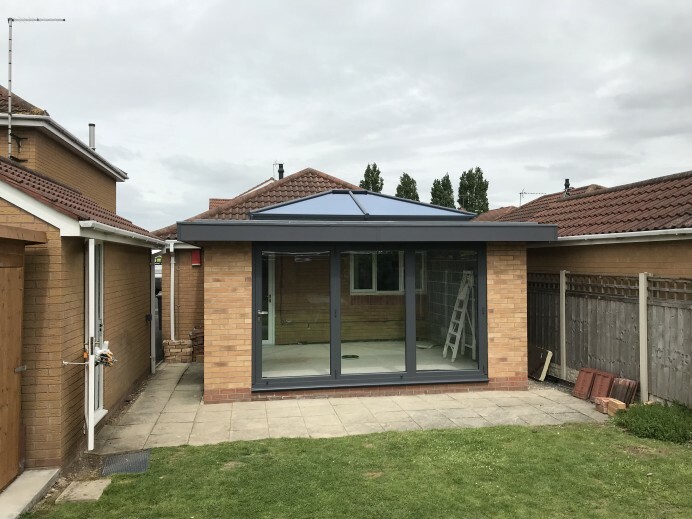 As you can see from the images, this orangery blends beautifully with the customers home and looks a fantastic addition as well.